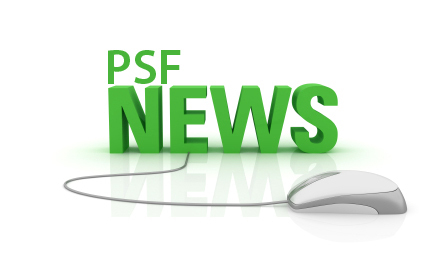 Pakistan Science Foundation (PSF) (www.psf.gov.pk) is earnestly making efforts for popularization of science among the youth and motivating them towards Science Education. PSF sponsors young students for participation in London International Youth Science Forum (LIYSF) and Asian Science Camp (ASC) where the young students can share their ideas and projects with fellow students and eminent scientists/Nobel Laureates. The activities include lectures/demonstrations from leading scientists, visits to industrial sites, research centres, scientific institutions/organizations, world class laboratories and universities. For LIYSF students having date of birth between January 23, 1995 to February 6, 2001 and completed their HSSC/equivalent education with 1st Division are eligible to apply. For ASC students having age between 16-21 years & Regular Science Students of 3rd year– 4th year (BS/B.Sc.) or professional studies/Engineering/Medical (1st year and 2nd Year only) having at least 1st Division in board/university examinations with strong proficiency in oral & written English and having a genuine interest in science/research are eligible to apply. The applicant must be a regular science student in a public or private sector (Govt. recognized) institution having proficiency in written and spoken English. Short-listed students, after initial screening on the basis of educational qualifications/age will be called for written test, interview/presentation at Islamabad, Lahore, Karachi, Quetta and Peshawar as per their convenience. 4 students will be selected for LIYSF-2017 while 5 students will be selected for ASC-2017. PSF will bear the expenditure of registration fee. The air ticket and other charges has to be borne by the selected students/parents or guardians. Accommodation and local hospitality will be provided by the organizers. No TA/DA will be provided to the students appearing for test/interview. Last date for receipt of application is 21st March, 2017. Incomplete/applications received after the closing date shall not be entertained.